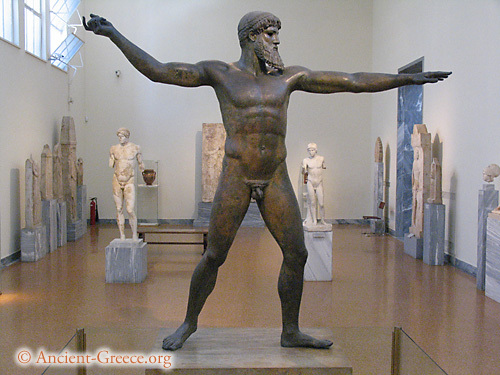 Bronze statue of Zeus (or Poseidon) with arms extended as if in the process of throwing an thunderbolt (or trident) found at Cape Artemision. Circa 460 BCE, 2.09 heigh. National Archaeological Museum, Athens, Greece.